While at a hanami picnic, during a painful singing session courtesy of Krillin, a massive ship arrived. Out came Paragus, one of the few surviving Saiyans. He invited Vegeta to rule a New Planet Vegeta. 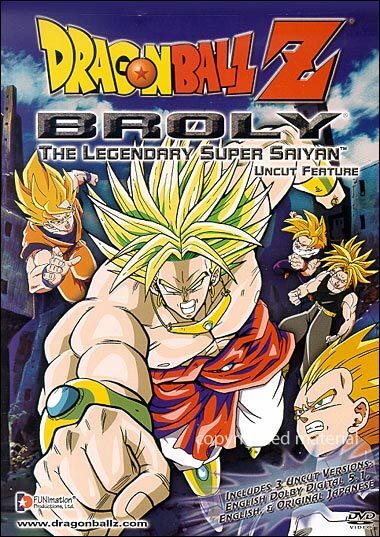 Vegeta initially refused until Paragus appealed to Vegeta's ego by asking him to kill the Legendary Super Saiyan that had completely destroyed the South Galaxy.Gohan, Future Trunks, Krillin, a drunk Master Roshi (in the FUNimation Dub, Bulma claims that Roshi was behaving strangely because an unknown person hid all of Master Roshi's girlie magazines, and Oolong and Krillin claims after arrival that he overdid himself by "eating too many tuna sandwiches"), and Oolong departed with Vegeta (Future Trunks' reasons being to try and stop his father from doing something stupid, as Trunks was suspicious of Paragus' motives). Goku was waiting with Chi-Chi for a school interview to try to get Gohan into the school. Goku was then called telepathically by King Kai and then teleported to King Kai's planet (it appeared that he was talking to himself and the school, shortly after Goku teleported, asked Chi-Chi if Goku was a magician). He then arrived at King Kai and King Kai explained that he had sensed the Legendary Super Saiyan in the south galaxy and he sent Goku to stop him. By the time Paragus had arrived, Goku had already been searching for the Super Saiyan.